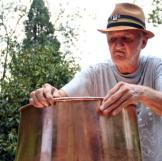 Jim Tom builds a traditional copper still. 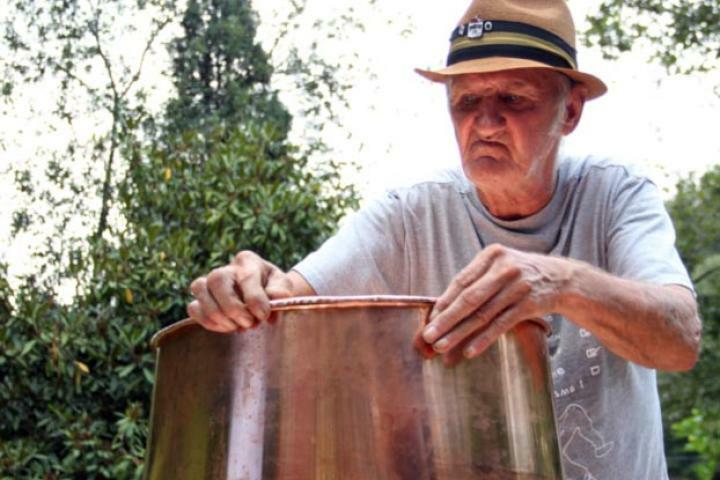 1 Jim Tom builds a traditional copper still. 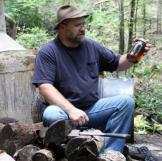 2 Tim shows off a jar of moonshiner to Tickle. 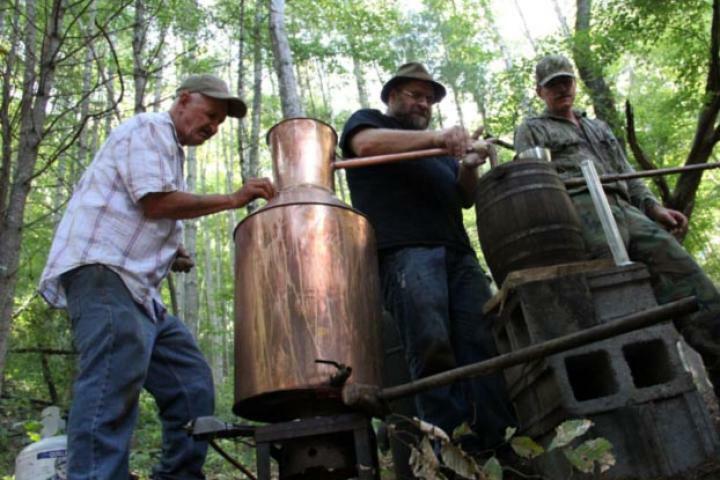 3 Jeff, Jim Tom and Mark fix a still out in the woods. 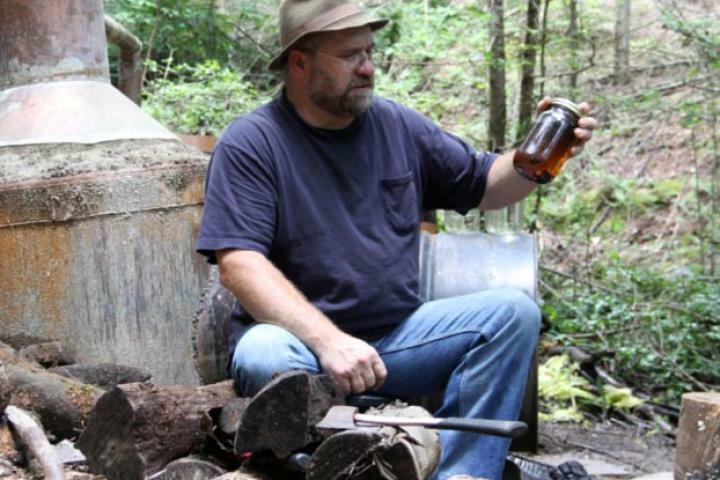 4 Jeff takes a moment to sit down next to his still. 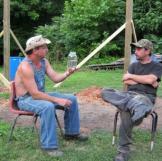 5 Tickle, Tim, and JT shoot the breeze with and a dump truck operator. 6 JT gets a wet greeting from his dog, Camo. 7 Mark strikes a watchful pose in the woods. 8 Mark hauls a boar. 9 Tim drives a backhoe carrying beams for his new still house. 10 Tickle and Tim try to pry a huge tire off its rim. 11 Tim uses a sledgehammer to drive a wedge between the tire and rim. 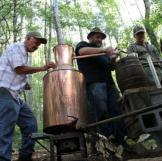 12 Tim and Tickle hard at work on their new still house. 15 Tim and Tickle are on the move. 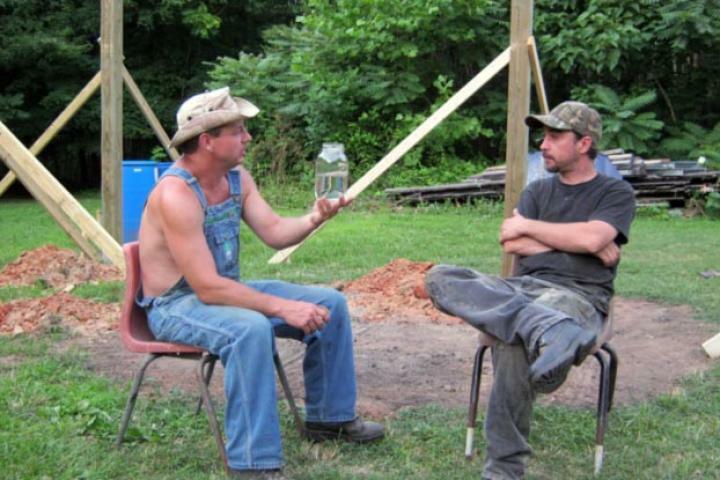 16 What are Tim and Tickle doing with a truckful of plastic jugs? 17 Tim takes in the woods. 18 The corn is high as JT passes through a field. 19 Josh stands next to a stainless "steel steam still."